Some bathrooms are barely big enough to hold a shower stall, a toilet and a sink. While the square footage is limited at floor level, the largest areas to be decorated are the walls. Walls can be wallpapered, tiled or painted to serve two specific functions: Reflect style and intensify lighting. Color choices abound but when painting a tiny bathroom consider paint that will make the room seem visually larger. There are many ideas on how to decorate a very small bathroom, but they all start with a wall covering as the first layer of style and function. Consider a semi-gloss latex paint to reflect light and provide moisture control. Continue to layer the walls with some ideas stated below to create additional functionality and a unique style. Consider replacing old glass doors to accommodate shower curtains instead. Modern shower curtains are not only functional but the array of colors, fabrics and designs makes changing decor a breeze. Consider using a liner that does more than keeping water off the floor. There are shower liners that have built-in mesh pockets to hold shower gel bottles, puffs and shaving products. Have you ever wondered how to decorate a tiny bathroom with lighting? Most people don't think of light fixtures as anything more that rudimentary necessities, but since every bathroom needs a source of light, why not match wall sconces and overhead lighting to a specific time period, a spa retreat, or a sleek and modern urban loft? Wall sconces and overhead lighting can be found in a variety of styles, colors and materials to add personality without taking up usable space. One tip on how to decorate a very small bathroom with lighting, is to use a small ceiling fan with a light kit. During the summer months it will provide additional cooling and ventilation. Every small bathroom needs storage space to hide a multitude of sins, but storage is typically limited to a small medicine cabinet and a couple of shelves under the sink. 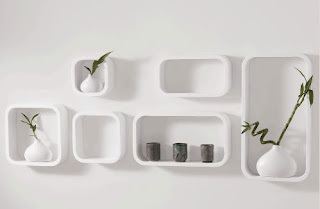 Wall space that has already been painted in a fabulous color can now be accessorized with varying sizes of cubes that can be painted to contrast or compliment the primary wall color. Different types of storage cubes can be found at large retailers and home improvement warehouses. 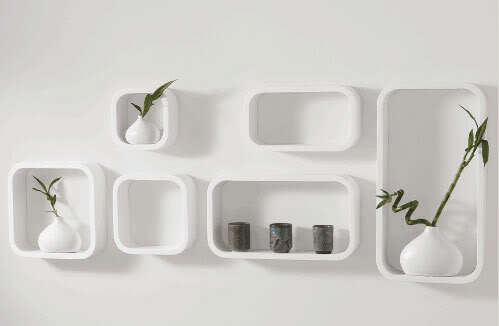 They can serve as open shelves to display functional glass bottles containing bath oils, or covered with small pieces of fabric that serve as tiny curtains to hide personal items. The added bonus of having small curtains or doors adds a layer of color and texture, without giving up an inch of usable space. Another option on how to decorate a very small bathroom is to create usable space by layering shelving to hold decorative touches as well as necessities. Consider layering the walls with staggered shelves in varying lengths, with wide shelving at the very top to store bulky towels. 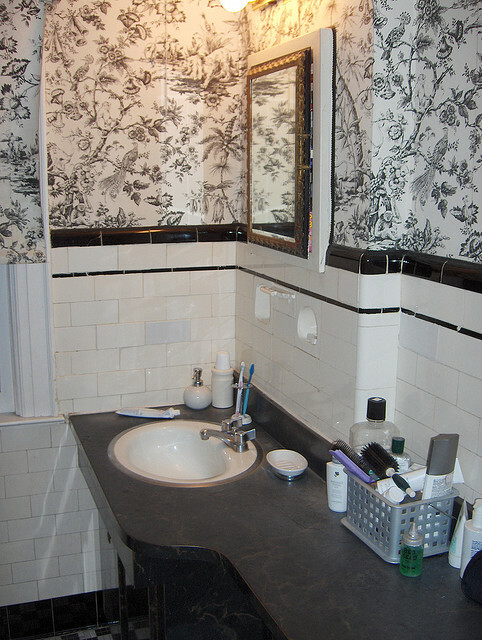 Below are some suggestions on how to decorate a tiny bathroom with functional items. Soap and lotion dispensers can be attached to walls to save valuable counter space and be decorative too. 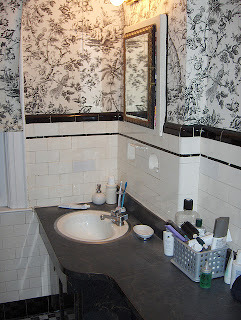 Full length mirrors can be affixed to the back of the bathroom door. Candles can be placed on wrought iron sconces affixed to the wall. Use the same type of towel holders used in hotels. They have a top shelf to store several clean towels and 2 bars to hang wet ones. Mass merchandisers sell these in a white coating finish, brushed metal and stainless steel. Install a large mirrored medicine cabinet for additional functionality.